At the end of last year we were asked by several pilot sites if Jisc could provide promotional materials for the tracker. Seven posters are now available for download from the Jisc repository. 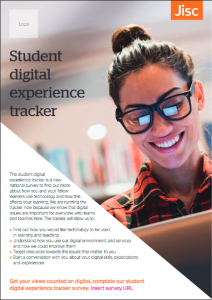 You’re free to customise them with your own university or college brand, and use them in any way you like to promote the tracker to your students. 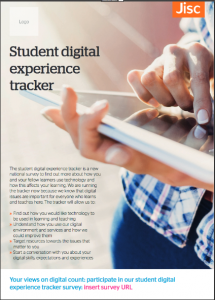 For more ideas about engaging students with the tracker, do check out our case studies as well. Access a zip file from google drive with all the materials, including images for social media use.